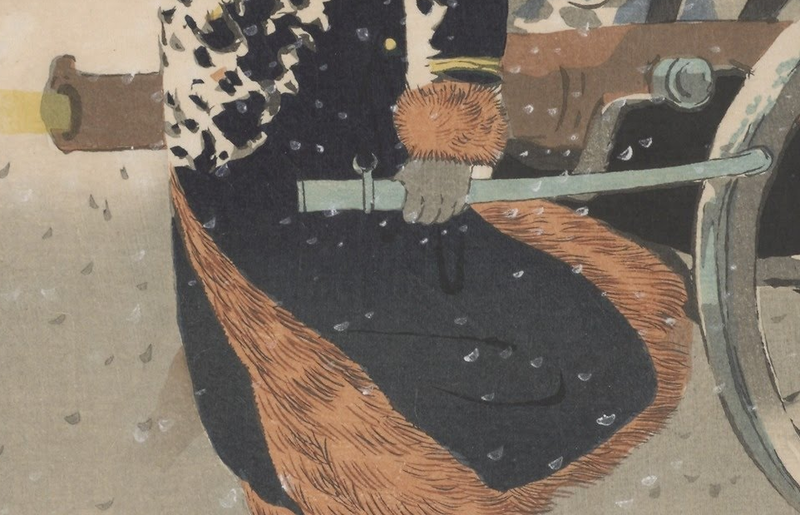 Kobayashi Kiyochika mastered woodblock printing and added elements of the most modern printing techniques and influences from photography, copperplate printing and oil painting to create one of the most contemporary-looking "graphic novels" I've ever seen. 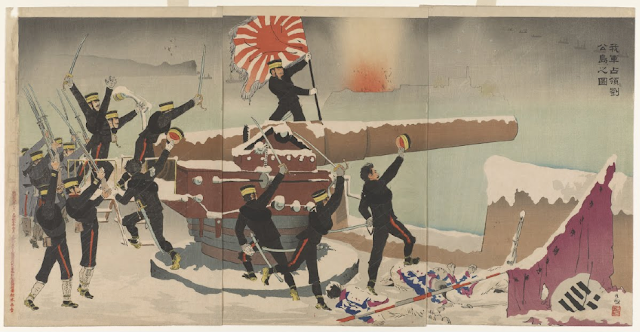 He did this...in the 1890s. 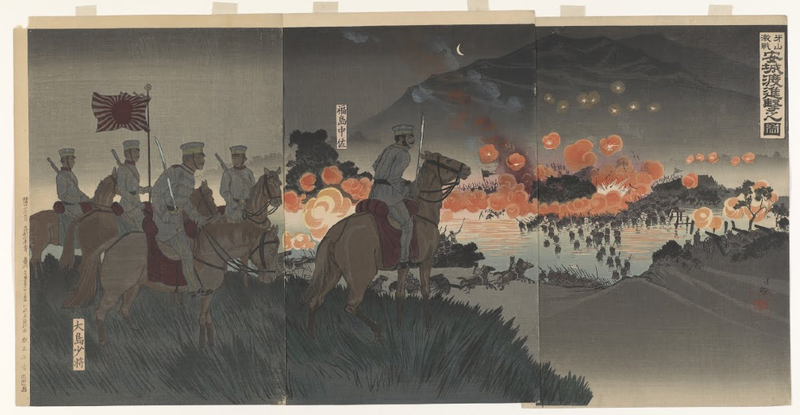 Early in his career, he became the first to master painting the night sky and perfectly captured the modernization of Tokyo in the 1870s and '80s. 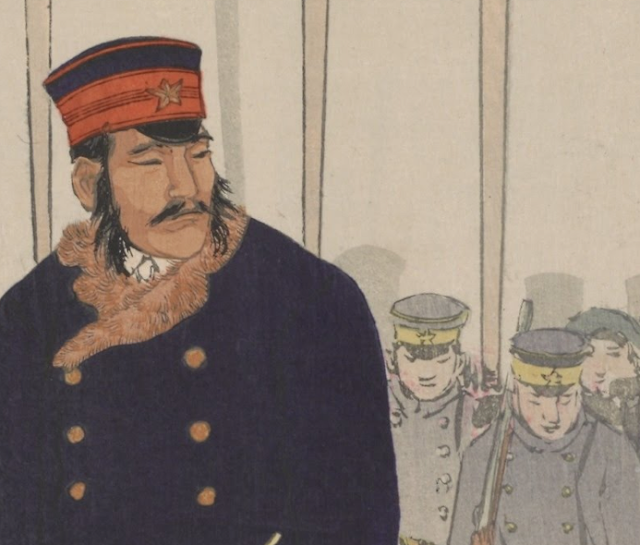 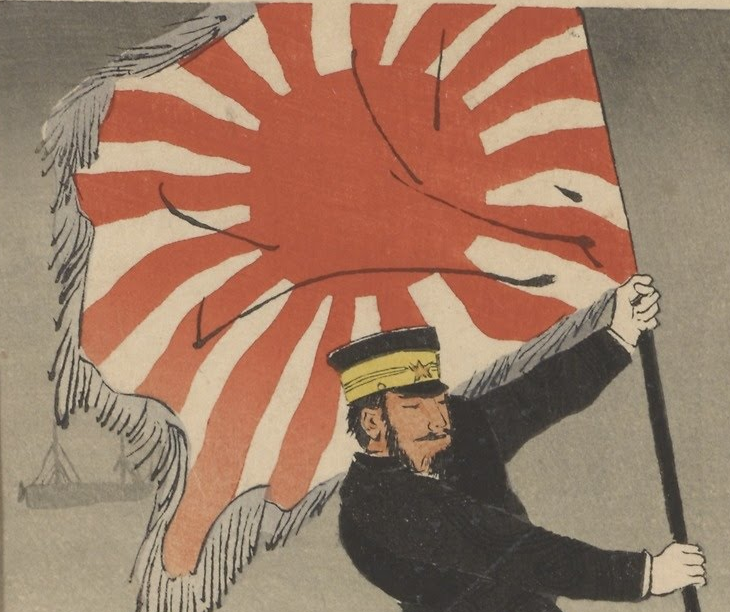 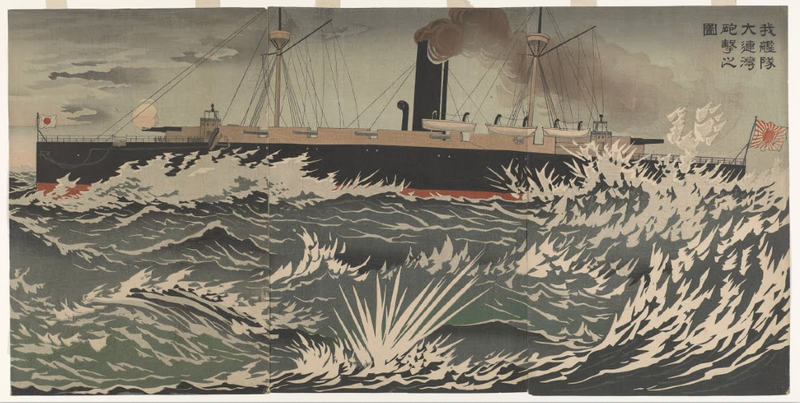 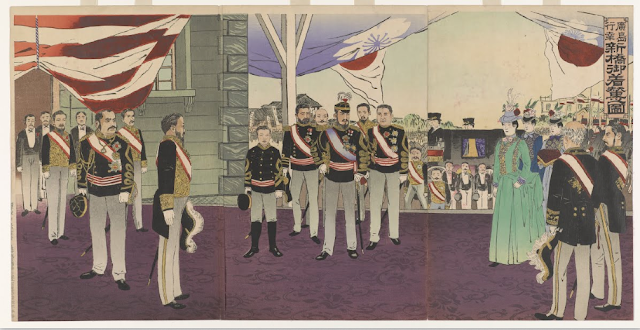 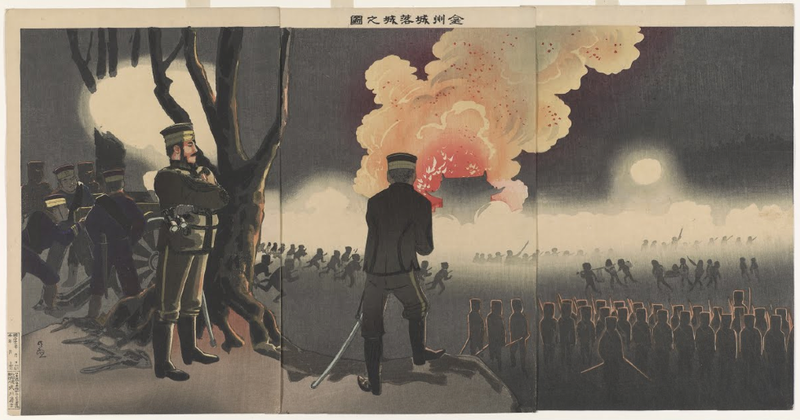 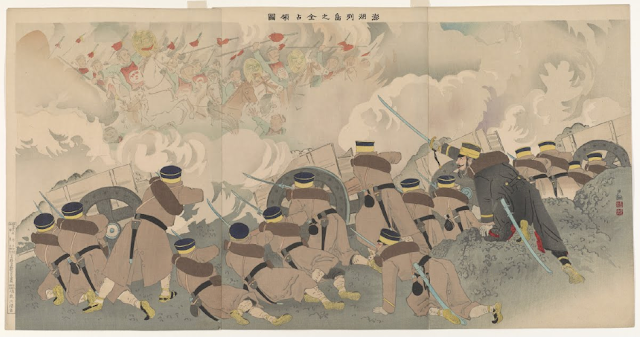 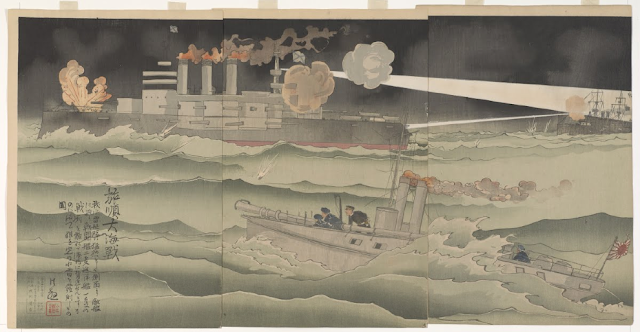 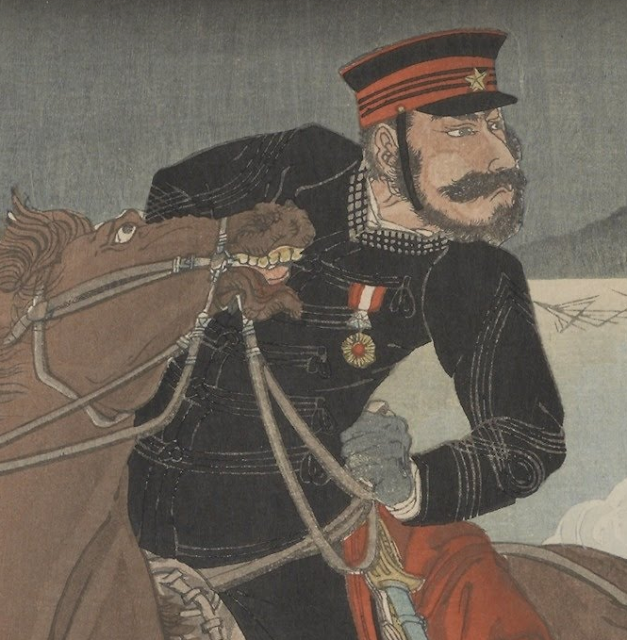 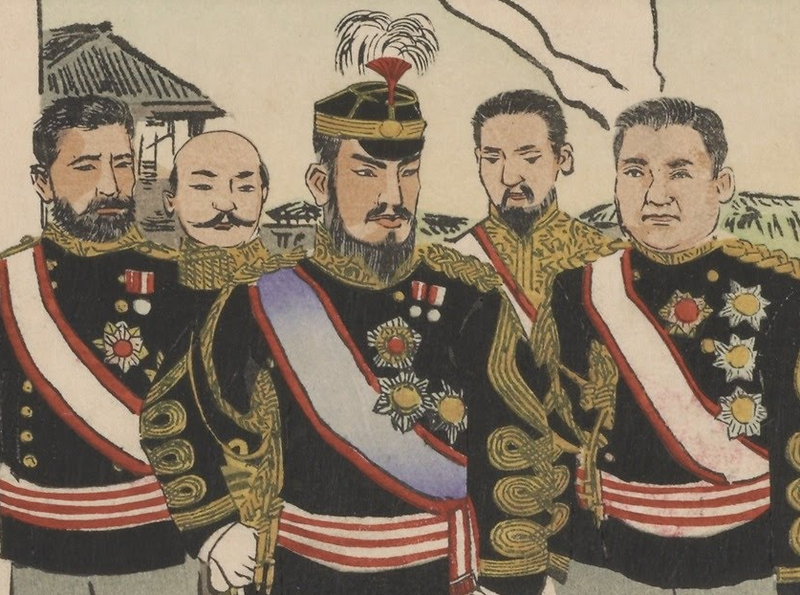 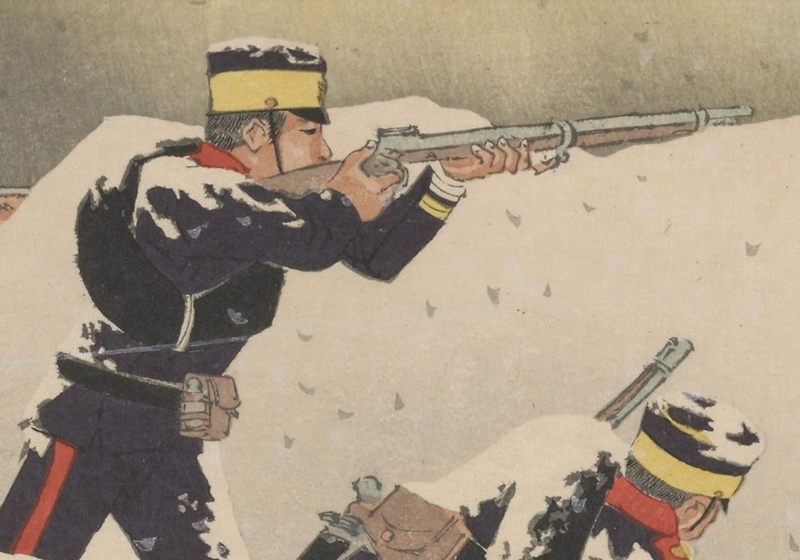 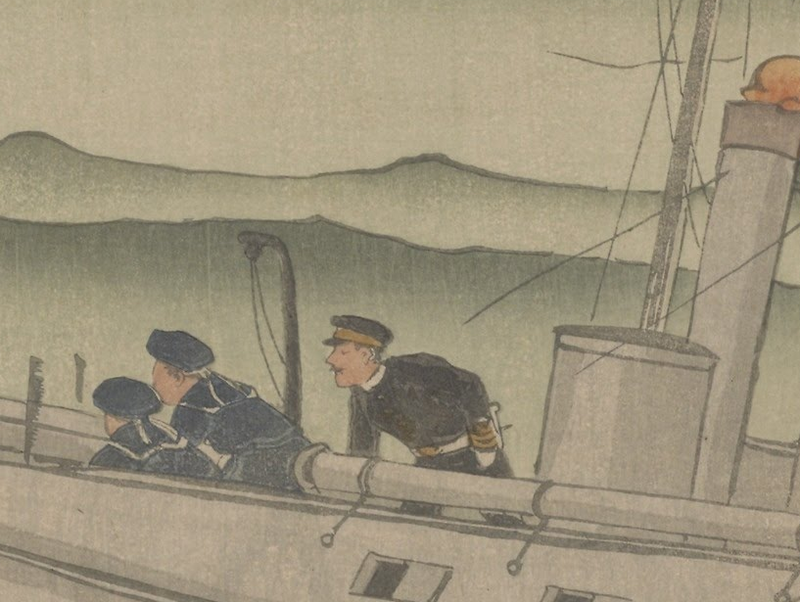 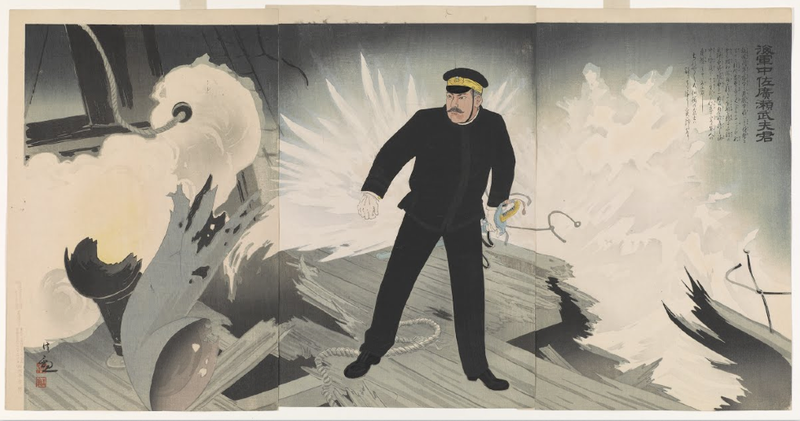 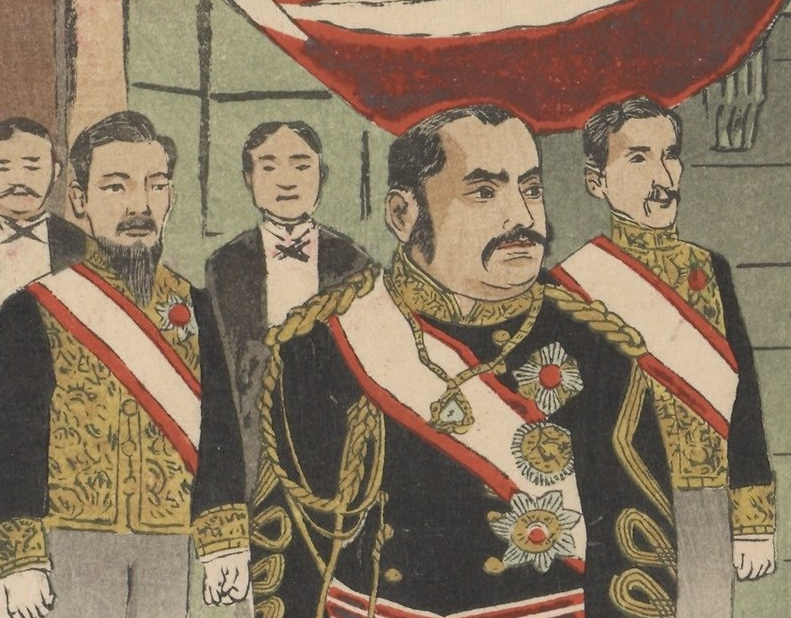 When the First Sino-Japanese War broke out between his Meiji Japan and Qing Dynasty China in the mid-1890s, he printed up the battles and victories in mind-boggling detail. 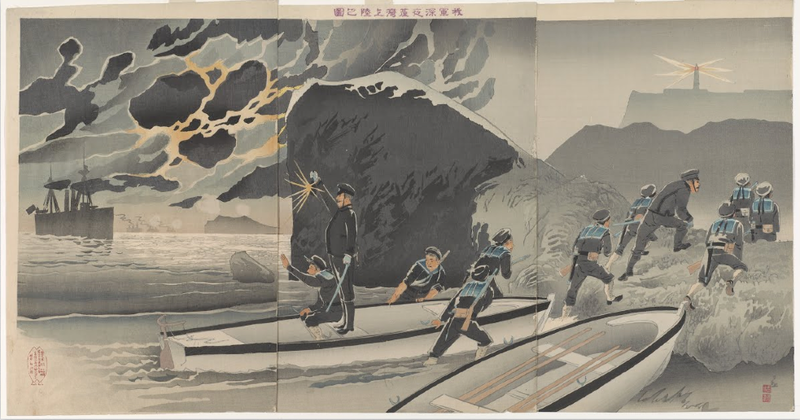 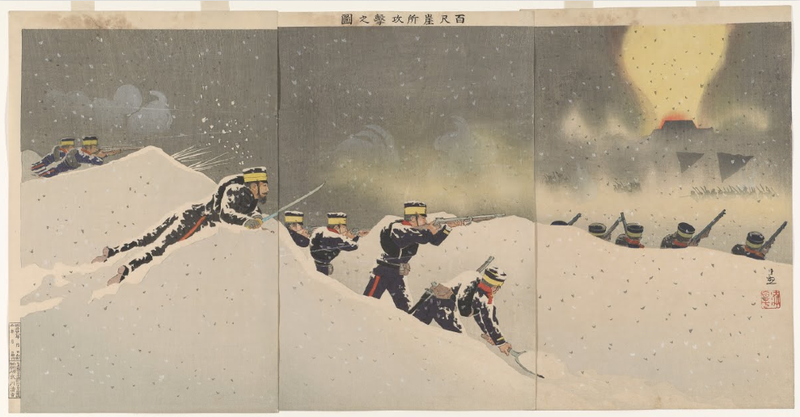 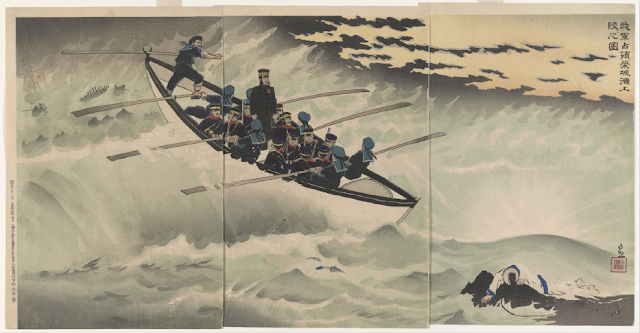 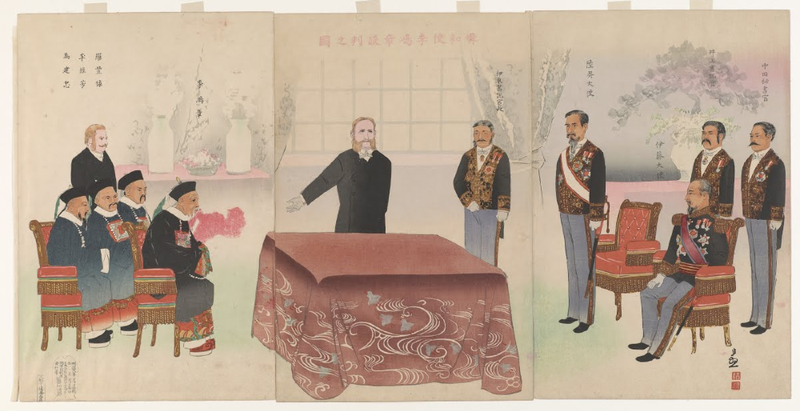 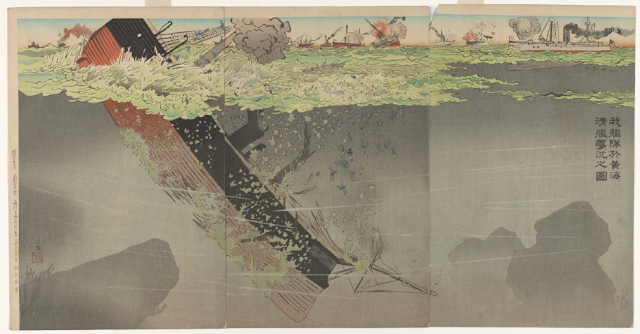 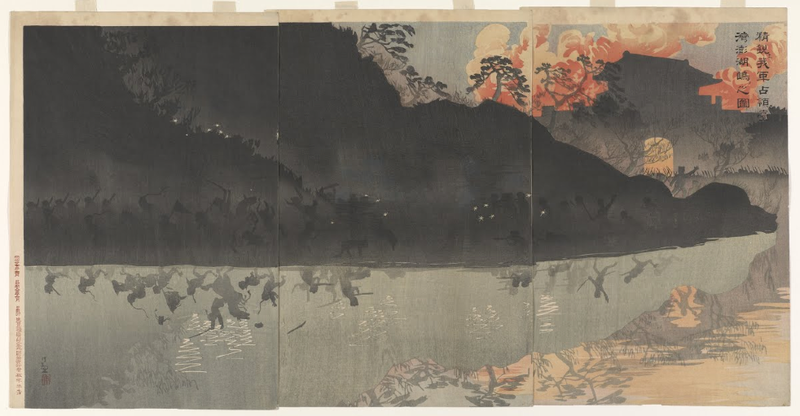 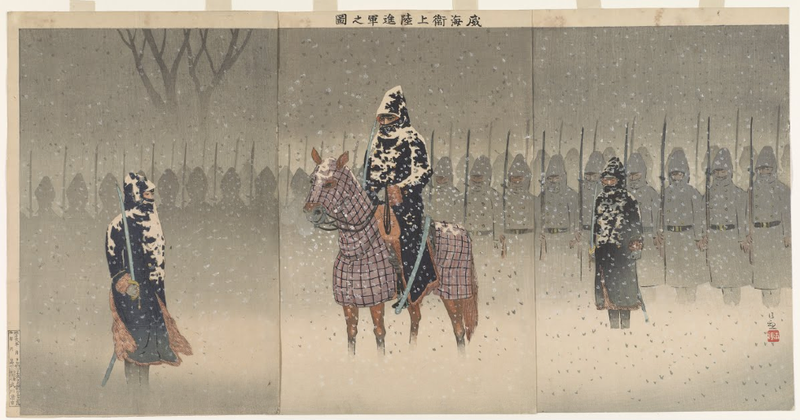 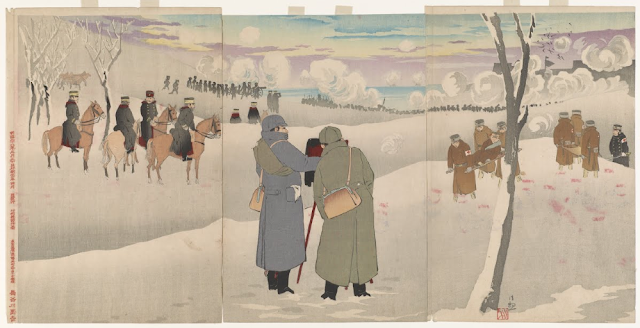 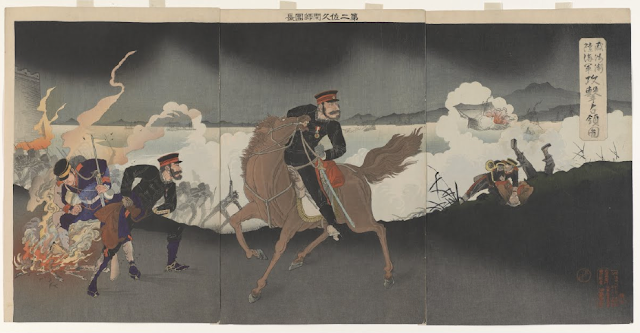 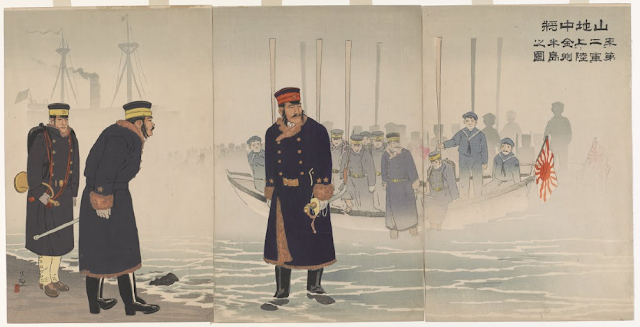 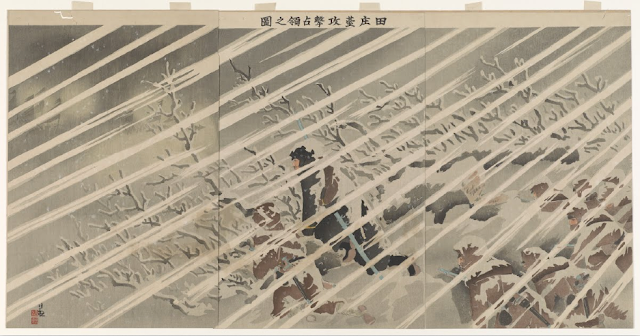 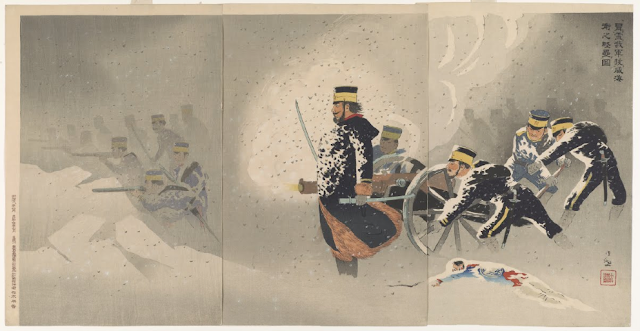 The Smithsonian's Freer-Sackler Gallery in Washington, DC has all the war tryptics; these images are from there and Google Art Project.